A ritual of senses, love and erotica gives new and earthly interpretation to Orffs’ music. The dance although abstract, interprets the songs in a modern way. 13 dancers celebrate youth, desire and the beauty of physical movement in a vibrant and wild extravaganza. kamea’s International smash hit is back in the repertoire for the 2018-19 season. “Carmina Burana by Tamir Ginz is an enjoyable and elegant creation. 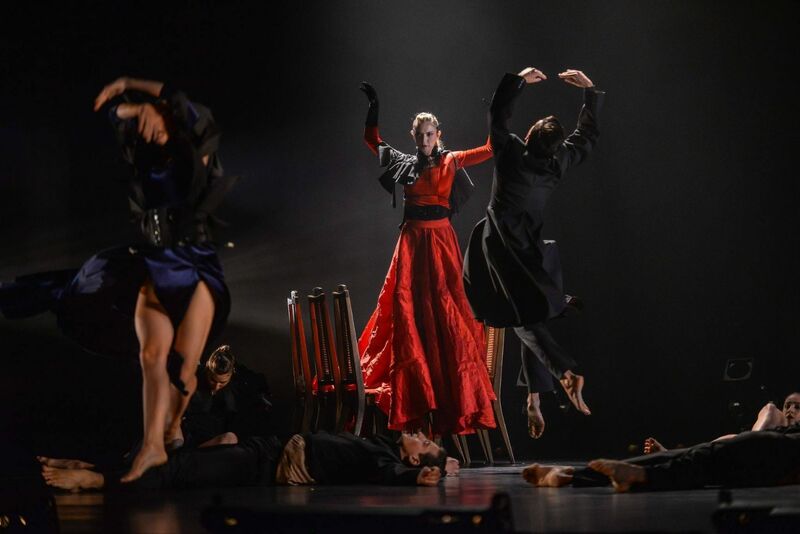 One must give credit to the company for a work that combines neo-classical style with contemporary dance, which is so missed in most Israeli dance companies”.